​Here at 509 Bullyz. An American Bully kennels in Washington, We Strive to produce high quality American Bullys for sale in Washington.and pitbulls for sale in Washington and sold everywere. As bully breeders we breed variety colors such as Blue nose bully puppies for sale, blacks, fawns, and now going for the tri color American bully pups. Our blue nose American bully pups ancestors come from Phenome, Status, Little Rambo, Gooch from Goochland pits, Damu and many other well know American bullys.. GOTTI LINES, Razors Edge , Goochland bloodlines. Our american bully puppies for sale are bred for quality. Our goal is to have one well known Bully kennel , that will produce well known blue nose bully puppies for sale, for the blue nose bully fanatics. 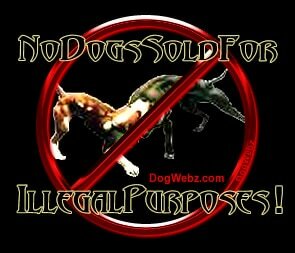 when deciding on buying a blue nose bully puppy, give 509 Bullyz a thought and let our American bullys be in your life. We also hope to be able to provide TRI COLOR American Bully pups for sale. American Bully style or the Original American Pit Bull Terrier. Always look for well bred Bullies. Because when it comes down to the final result it's the quality of the American bully that counts. So being a successful American bully breeder is not an easy task. Therefore if you are looking for a kennel that sell quality bred blue nose bully puppies for sale then give us a shot and see your new bully puppy in our kennel, waiting for a loving family to go. Our bully puppies will be a big part in your life. if you are looking for an American Bully Kennel that sell quality bred blue nose Bully pups for sale then give us a shot and see your new American bully pup in our kennel, waiting for a loving family to go. Our American Bully Pups will be a big part in your life. 509 BULLYZ is a quality American Bully kennels, we love our Bullyz also known as Bullies, Bully , blue nose , and red nose bully pups. We take great pride in our bullies to provide the best bully puppies for sale. All of our bully puppies for sale come with UKC registration. we will continue to improve our blue nose American bully pups to achieve and provide the best American bully puppy for sale. American Bully for sale in Washington State. American Bully for sale in the Northwest. American Bully for sale in Oregon. American Bully for sale in California. American Bully for sale in Idaho. American Bully for sale in Seattle. American Bully for sale in Spokane. American Bully for sale in Portland Oregon. American Bully for sale in Utah. American Bully for sale in Texas. America Bully for sale in Washington State. American Bully for sale in the Northwest. America Bully for sale in Oregon. America Bully for sale in California. America Bully for sale in Idaho. America Bully for sale in Seattle. America Bully for sale in Spokane. America Bully for sale in Portland Oregon. America Bully for sale in Utah. America Bully for sale in Texas. America Bullies for sale in Washington State. American Bullies for sale in the Northwest. America Bullies for sale in Oregon. America Bullies for sale in California. America Bullies for sale in Idaho. America Bullies for sale in Seattle. America Bullies for sale in Spokane. America Bullies for sale in Portland Oregon. America Bullies for sale in Utah. America Bullies for sale in Texas. America Bully puppies for sale in Washington State. American Bully puppies for sale in the Northwest. America Bully puppies for sale in Oregon. America Bully puppies for sale in California. America Bully puppies for sale in Idaho. America Bully puppies for sale in Seattle. America Bully puppies for sale in Spokane. America Bully puppies for sale in Portland Oregon. America Bully puppies for sale in Utah. America Bully puppies for sale in Texas. Blue nose pitbull puppies for sale in Washington State. Blue nose pitbull puppies for sale in the Northwest. Blue nose pitbull puppies for sale in Oregon. Blue nose pitbull puppies for sale in California. Blue nose pitbull puppies for sale in Idaho. Blue nose pitbull puppies for sale in Seattle. Blue nose pitbull puppies for sale in Spokane. Blue nose pitbull puppies for sale in Portland Oregon. Blue nose pitbull puppies for sale in Utah. Blue nose pitbull puppies for sale in Texas. America Bully for sale in Washington State. American Bully for sale in the Northwest. America Bully for sale in Oregon. America Bully for sale in California. America Bully for sale in Idaho. America Bully for sale in Seattle. America Bully for sale in Spokane. America Bully for sale in Portland Oregon. America Bully for sale in Utah. America Bully for sale in Texas. America Bullies for sale in Washington State. American Bullies for sale in the Northwest. America Bullies for sale in Oregon. America Bullies for sale in California. America Bullies for sale in Idaho. America Bullies for sale in Seattle. America Bullies for sale in Spokane. America Bullies for sale in Portland Oregon. America Bullies for sale in Utah. America Bullies for sale in Texas. America Bully puppies for sale in Washington State. American Bully puppies for sale in the Northwest. America Bully puppies for sale in Oregon. America Bully puppies for sale in California. America Bully puppies for sale in Idaho. America Bully puppies for sale in Seattle. America Bully puppies for sale in Spokane. America Bully puppies for sale in Portland Oregon. America Bully puppies for sale in Utah. America Bully puppies for sale in Texas. Blue nose pitbull puppies for sale in Washington State. Blue nose pitbull puppies for sale in the Northwest. Blue nose pitbull puppies for sale in Oregon. Blue nose pitbull puppies for sale in California. Blue nose pitbull puppies for sale in Idaho. Blue nose pitbull puppies for sale in Seattle. Blue nose pitbull puppies for sale in Spokane. Blue nose pitbull puppies for sale in Portland Oregon. Blue nose pitbull puppies for sale in Utah. Blue nose pitbull puppies for sale in Texas. ​America Bully for sale in Washington State. American Bully for sale in the Northwest. America Bully for sale in Oregon. America Bully for sale in California. America Bully for sale in Idaho. America Bully for sale in Seattle. America Bully for sale in Spokane. America Bully for sale in Portland Oregon. America Bully for sale in Utah. America Bully for sale in Texas. America Bullies for sale in Washington State. American Bullies for sale in the Northwest. America Bullies for sale in Oregon. America Bullies for sale in California. America Bullies for sale in Idaho. America Bullies for sale in Seattle. America Bullies for sale in Spokane. America Bullies for sale in Portland Oregon. America Bullies for sale in Utah. America Bullies for sale in Texas. America Bully puppies for sale in Washington State. American Bully puppies for sale in the Northwest. America Bully puppies for sale in Oregon. America Bully puppies for sale in California. America Bully puppies for sale in Idaho. America Bully puppies for sale in Seattle. America Bully puppies for sale in Spokane. America Bully puppies for sale in Portland Oregon. America Bully puppies for sale in Utah. America Bully puppies for sale in Texas. Blue nose pitbull puppies for sale in Washington State. Blue nose pitbull puppies for sale in the Northwest. Blue nose pitbull puppies for sale in Oregon. Blue nose pitbull puppies for sale in California. Blue nose pitbull puppies for sale in Idaho. Blue nose pitbull puppies for sale in Seattle. Blue nose pitbull puppies for sale in Spokane. Blue nose pitbull puppies for sale in Portland Oregon. Blue nose pitbull puppies for sale in Utah. Blue nose pitbull puppies for sale in Texas. America Bully for sale in Washington State. American Bully for sale in the Northwest. America Bully for sale in Oregon. America Bully for sale in California. America Bully for sale in Idaho. America Bully for sale in Seattle. America Bully for sale in Spokane. America Bully for sale in Portland Oregon. America Bully for sale in Utah. America Bully for sale in Texas. America Bullies for sale in Washington State. American Bullies for sale in the Northwest. America Bullies for sale in Oregon. America Bullies for sale in California. America Bullies for sale in Idaho. America Bullies for sale in Seattle. America Bullies for sale in Spokane. America Bullies for sale in Portland Oregon. America Bullies for sale in Utah. America Bullies for sale in Texas. America Bully puppies for sale in Washington State. American Bully puppies for sale in the Northwest. America Bully puppies for sale in Oregon. America Bully puppies for sale in California. America Bully puppies for sale in Idaho. America Bully puppies for sale in Seattle. America Bully puppies for sale in Spokane. America Bully puppies for sale in Portland Oregon. America Bully puppies for sale in Utah. America Bully puppies for sale in Texas. Blue nose pitbull puppies for sale in Washington State. Blue nose pitbull puppies for sale in the Northwest. Blue nose pitbull puppies for sale in Oregon. Blue nose pitbull puppies for sale in California. Blue nose pitbull puppies for sale in Idaho. Blue nose pitbull puppies for sale in Seattle. Blue nose pitbull puppies for sale in Spokane. Blue nose pitbull puppies for sale in Portland Oregon. Blue nose pitbull puppies for sale in Utah. Blue nose pitbull puppies for sale in Texas. We offer Blue Pitbull Puppies For Sale in Florida and Blue Pitbulls and American Bully Kennels in WASHINGTON we are also Blue Bully Breeders in WASHINGTON. 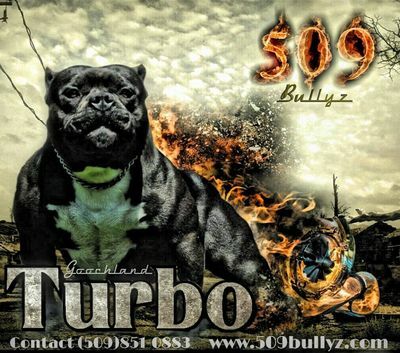 509 BULLYZ is a WASHINGTON based Blue Pit bull kennel. We are also known for the finest Blue Pitbulls Kennel and blue pitbull puppies For Sale and Exotic Bullies in Washington. We specialize in producing top quality Blue Pit Bulls, American Bullies and Bully style American Pitbulls, we have blue pit bull puppies for sale. Bully pit bull kennel in washington. We have Razors Edge pit bulls, Gottiline pit bulls, Mikeland pit bulls, for sale at this time. Visit 509 Bullies to get a quality We offer Blue Pitbull Puppies For Sale in Florida and Blue Pitbulls and American Bully Kennels in Washington we are also Blue Bully Breeders in Washington. 509 bullys is a Washington based Blue Pit bull kennel. We are also known for thr finest Blue Pitbulls Kennel and blue pitbull puppies For Sale and Exotic Bullies in Washington. We specialize in producing top quality Blue Pit Bulls, American Bullies and Bully style American Pitbulls, we have blue pit bull puppies for sale. Bully pit bull kennel in Washington. We have Razors Edge pit bulls, Gottiline pit bulls, Goochland pit bulls, for sale at this time. Visit 509 Bullyz to get a quality blue pitbull puppy in Washington, or we also ship anywhere in the world. Our Blue Pitbull pups for sale come with either UKC or ABKC registrations. We also have blue pitbull males for stud service for your bully style blue pit bull female. We have bully blue pit bull breedings taking place at this time, to reserve your blue american bully, blue pit bull pup please contact us. for more info on the finest blue bully pitbulls in Washington Our bully style blue pit bull bloodlines include Goochland, Gottiline, Razors Edge,. We breed our beautiful blue pit bulls for excellence, big head blue bullies, short and compact blue pit bulls are our specialty. 509 Bullyz are the finest blue pit bull dogs you will find in the state of Washington. Visit us today to make your blue pitbull puppy reservation. We are an established blue american pit bull terrier kennel in Washington and we would be happy to speak to you about purchasing your next blue bully companion from our kennel. Thanks for visiting 509 BULLYZ A Blue Pit Bulls we hope we can help you in your purchase of a beautiful blue pit bull puppy, we have blue pitbull puppies for sale now! BulliesPitbull Puppies for Sale, Blue Pitbull Puppies for Sale, Pitbull Puppies, Blue Nose Pitbulls for sale at this time, Pitbulls for Sale, Blue Pitbulls For Sale, Pitbull Kennel, Bully Style Pitbulls, Blue Nose Pitbulls Kennels, Blue Nose Pitbull Breeders, American Bullies, Blue Pitbulls, Blue Pitbull Puppy, Buy Pitbulls, Blue Pitbull Breeders. 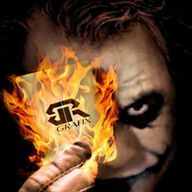 , or we also ship anywhere in the world. Our Blue Pitbull pups for sale come with either UKC or ABKC registrations. We also have blue pitbull males for stud service for your bully style blue pit bull female. We have bully blue pit bull breedings taking place at this time, to reserve your blue american bully, blue pit bull pup please contact us. Visit www.GridlockBullies.com for more info on the finest blue bully pitbulls in Florida. Our bully style blue pit bull bloodlines include Goochland, Gottiline, Razors Edge, Bloodlines. We breed our beautiful blue pit bulls for excellence, big head blue bullies, short and compact blue pit bulls are our specialty. 509 Bullyz are the finest blue pit bull dogs you will find in the state of Washington. Visit us today to make your blue pitbull puppy reservation. We are an established blue american pit bull terrier kennel in Washington and we would be happy to speak to you about purchasing your next blue bully companion from our kennel. Thanks for visiting 509 Bullyz In Washington Blue Pit Bulls we hope we can help you in your purchase of a beautiful blue pit bull puppy, we have blue pitbull puppies for sale now! 509 BulliesPitbull Puppies for Sale, Blue Pitbull Puppies for Sale, Pitbull Puppies, Blue Nose Pitbulls for sale at this time, Pitbulls for Sale, Blue Pitbulls For Sale, Pitbull Kennel, Bully Style Pitbulls, Blue Nose Pitbulls Kennels, Blue Nose Pitbull Breeders, American Bullies, Blue Pitbulls, Blue Pitbull Puppy, Buy Pitbulls, Blue Pitbull Breeders. 509 BULLYS BREED some of the finest blue colored and blue blooded Pit Bull puppies in the nation. Our blue bully American Pit Bull Terriers stem from a long line of Champion bloodlines that we have used to create our own bully style pitbull. Our Pit Bull pups are bullier than your typical American Pit Bull as years of selective breeding has given us the American Bully and this is in the directon in which 509 Bullyz is moving towards, including Exotic Bullies. In selecting our stock, we have researched high quality American Bully bloodlines such as Razors Edge, Gottiline, Goochland and a few other carefully selected outcross bloodlines. Our Blue Pit Bull / American Bully pups are of hight quality and caliber. Our pitbull puppies for sale come either UKC registered, ABKC registered, or both. Check out our upcoming American Bully breedings and our Pitbull Puppies page to learn more about how to get next American Bully! Offering the finest Blue Nose pitbulls in the USA has been our specialty for close to 20years here at 509 Bullyz. Our Blue nose pitbull puppies are of the highest quality with tons of substance and great bully characteristics. Our produced pups will grow to be big headed, have heavy bones, very muscular bodies with wide frames while structually sound. Our blue nose pits are short bodied with compact frames which give them the overall bully style look we strive to achieve with every planned out breeding. We are one of the top rated Blue Nose Pitbull breeders in the USA. We bring the highest quality stud dogs to implement them into our breeding program. All of our blue nose pitbull males and females have excellent temperament and extreme bully looks. They are of the best health and are true loyal family companions. We specialize in producing top quality Blue nose pitbulls with the finest available bully bloodlines such as Razors Edge, Gottiline, Goochland,blood and Daxline. Visit 509Bullyz to get a quality blue nose pitbull puppies for sale. We can also ship our puppies and adult dogs anywhere in the world! Our Blue Nose Pitbull pups for sale come with either UKC or ABKC registrations. We also have blue nose pitbull males for stud service for your bully style blue nose pitbull female. We have bully blue nose pitbull breedings taking place at this time, to reserve your blue nose pitbull pup please contact us. 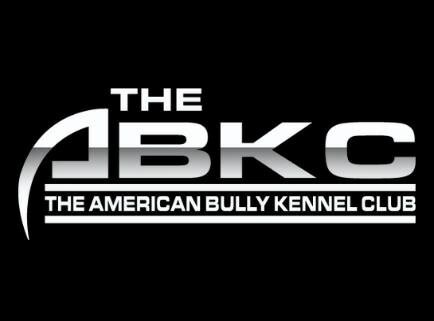 Our kennel is very well established and has been in excellent standings with the bully community for over 10 years. Our blue nose pitbull puppies come in a wide range of colors and markings. We have produced solid blue, blue brindle, reverse blue brindle, blue pied, blue tri, champagne, black tri, chocolate, white, black and white, blue and white blue fawn, and silver blue nose pitbull puppies in the past and continue to. We offer: Razors Edge Pitbulls, Pitbulls Razors Edge, Razors Edge Pitbulls for sale, Razors Edge Pitbull puppies, Razors Edge Pitbull puppies for sale, Razors Edge Bullies, Razors Edge Blue Pitbulls, Razors Edge Pits, Razors Edge puppies, Razors Edge bully puppies, 100 Razors Edge pitbulls & Blue Razors Edge Pitbulls Here at 509 BULLYZ our blue pit bull puppies are always of the highest quality and fully socialized up until your new blue pitbull puppy is sent to his or her new forever home. Eventhough our blue pitbull kennel specializes in blue pitbull puppies of all types, our kennels have also rarely produced colored pitbulls, such as blue fawn pitbull puppies, black and white puppies, chocolate blue blooded pitbull puppies and blue brindle pit bull puppies of all variations. Every so often our pitbull kennels produce bully style pitbull, or exotic bully puppies that are born with redish coats and red noses. Here at 509BULLYZ Blue pitbulls we have taken our love for extreme blue pit bulls to the next by incorporating the exotic bully style into our bloodline and breeding stock. The "EXOTIC BULLY" is a term recently adopted by extreme American bully enthusiasts who prefer the much exagerated and extreme features of certain American Bullies already in existence. Exotic Bullies such as "TheBullyCampLine's Mr. Miagi", "TheBullyCampLine's Karate Kid, or even Gottyline's Dax which is currently an ABKC Grand Champion, or Edge of Gottiline's Bullseye - have a much desirable look in their exotic type of features. These features often include an extreme wideness to their chests, very short and blocky muzzles, large heads in comparison to their bodies, short and compact frames, heavily muscled bodies, heavy bone structures and very well defines stops on their heads. These features on Exotic Bullies is what sets them apart from your ordinary American Bully. 509 Bullyz has now acquired much of this "Exotic Bully" blood from all over the Nation to incorporate into our own 509 Bloodline. We hope to bring you the next generation of the Extreme American Bully we call The Exotic Bully! The term "Pocket Pitbull" refers to a much more compact, shorter and smaller all around bully pitbull than the standard bully style pitbull or American bully. The term "Pocket" itself derived from the style and look of the legendary "The Samurai Paco" of Suarez Bulls Kennel. Paco's production ability was so consistent that you could almost tell right away that the dog was a Paco descendent. He consistently produced bully style pitbulls which were very compact in size and very low. The Paco to Pocket translation became more official as the association to Paco blood dogs and short compact Razors Edge bullies became more familiar and evident. Pocket Bullies and Pocket Pitbulls are very popular today as more and more fans of the "American Bully" seek out the smaller and more compact bullies as oppose to big tall dogs. The bullier look obviously involves more of a compact and thicker dogs that bigger dogs do not posses. Pocket pitbull breeders have now exclusively used this type of look and blood in their blue pocket pitbull breedings to lock in the pocket american bully look. We do consider ourselves a Pocket Pitbull kennel and strive to produce a bullies, more compact, shorter American Bully which still have plenty of substance in demonstrating heavy bone, large heads, thick bodies, heavy muscle and can still out perform many other bully breeds. This is what the Pocket Pitbull is to us and we will continue to improve up on it. Gottiline is one of the most popular bloodlines in the american bully world. Gotti pitbulls have a distinctive look that you are able to tell them apart from other blue pitbull bully blood lines. They tend to be very stocky with a lot of mass. Gottiline pits are very girthy with heavy frames. The Gottiline Pit Bull immediately strikes one as being a dog of power, pride, confidence and undying willingness. The brick-like head, which is especially broad between the cheeks (to house the powerful jaws), is carried upon a thickly muscled, well-defined bully neck. The neck runs into a heavy, thick, deep dropping and wide chest. Gottiline Pitbulls are very muscular, heavy boned, stocky, yet agile which is extremely strong for their size. The ears are generally cropped, though this is optional. Docked tails are not accepted by the UKC. The eyes are round. The UKC does not accept blue eyes or the coat color merley, the Gottiline Bloodline pitbulls are often also registered with the American Bully Kennel Club (ABKC) registry and other American Bully registries. We use the Gottiline Bloodline heavily in our kennel to bring in the size and substance that other bloodlines that favor the Pitbull lack. Gottiline Bullies are extreme and exotic in many ways. The Gottiline Blood has been a great addition to the 509Bullyz yard in achieving the extreme bully look we are strive to produce. WHAT IS INCLUDED WITH THE PURCHASE OF MY BLUE PITBULL PUPPY? Our blue pitbull puppies come with their first set of shots (vaccinations) also known as 5 in 1 puppy shots. Depending on how long the blue pitbull puppies remain with us at our blue pitbull kenel facility they may receive their second puppy booster shot as well. Your blue pit bull puppy will also be fully dewormed and parasite free. Also your pit bull puppy with come with a puppy starter kit and a health record showing you blue pit bull pup's past vaccination history and when his/her next shot should be administered. If your blue pitbull puppy is to be shipped additional charges do apply. If being shipped within the continental United States the total cost to ship blue pit bull puppies state to state is around $400. This amount includes any and all needed vaccinations required by the state to fly, brand new puppy crate, food and water bowl attached to the travel crate, health certificate and examination by a licensed Washington State Veterinarian, airline airfare and any other fees associated with shipping and handling of your new blue pit bull pup. Our blue pitbulls and bully blue pitbull puppies are very easy and effortless to train as well as respectful and loving towards other pets and people of all ages, adult and children alike. Therefore the temperament of all of our blue pitbulls and blue pit bull puppies is very mild and all of the finest dispositions. The good temperament in our blue pitbull puppies is a disrect result of our well thought out pit bull breeding program in conjunction with the extensive amount of socialization our bullys receive from an early stage in life for them to thrive as loyal family members and companions. Washington Blue Pitbulls recommends anybody who purchases a blue pitbull puppy from our blue pitbull kennel to take the time to often socialize their blue pit bull puppy at all times even throughout their adult life to get the best results in your pet's disposition. If you are in search of the perfect blue pitbull puppy for sale with a sound temperament that comes from a well established and reputable blue pitbull breeder you have come across the right blue pitbull kennel to suit your needs. By purchasing a blue pitbull puppy from the best pit bull kennel in Florida, you are sure to receive a very loving and affectionete blue pitbull puppy that will be a great addition to your family as a well rounded family member and companion for years to come. The term "American Bully" refers to a much bullier (shorter, thicker, more compact) Pitbull. American Bullies in general have many of the same carachteristics as the standard blue pitbull but have been selectively bred to emphesize on larger heads, shorter legs, more compact frames and overall heavier, thicker bodies. These American Bullies came from well known bloodlines of the American Pit Bull Terrier (APBT) and the American Staffordshire Terrier years ago when the American Bully breed began to take form. American Bullies are mostly put not always, blue in color and therefore are know by many as Blue Pitbulls and so Blue pitbull puppies are sold as such. The American Bully however come from a relatively concentrated group of bloodlines. These bully bloodline of which the American Bully was formed are mainly Razors Edge, Greyline (which later evolved to a much bullier blood called Gottiline) and a few others. Several other bloodlines were used in the process of creating the American Bully of today such as Certified blood, De La Cruz, Mikeland and even Gaff. To summarize Blue Pit Bulls and American Bullies have very much in common. Even Blue Pitbull puppies and Bullies look very much alike at an early stage but grow up to have very noticeable and distinct features as adults. They come from the same gene pool but have been selectively bred to look less like the Pit Bull and more like the Bull in them. If you are in search of a Bully Blue Pitbull or a true American Bully puppy, you have come to the right place. Florida Blue Pit Bulls has the perfect bully pup for you!